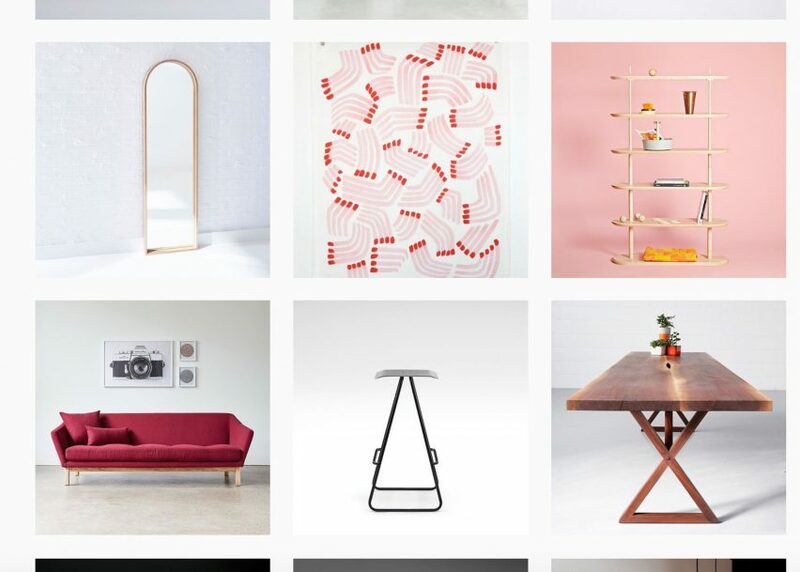 An exhibition in Toronto brings together 365 photographs of products by Canadian designers, which were posted to an Instagram account one per day for the past year. The 365 Days of Canadian Design exhibition is the brainchild of Toronto-based architect Joy Charbonneau, who wanted to find a way to celebrate contemporary Canadian design after the country's 150th birthday last year. She set up the Instagram account @marianadesigncanada as a way to curate the best furniture, ceramics, lighting and illustration she found. The architect, who works at Kuwabara Payne McKenna Blumberg Architects, launched it on 1 January 2017 under the alias. By posting a new picture everyday, Charbonneau accumulated the 365 images that are now printed and on show at Artscape Yongeplace – a cultural hub in the Canadian city – as part of this year's Toronto Design Offsite Festival. Among the selection is the curved Boomerang Sofa by Yabu Pushelburg and glass sphere pendant lamps by lighting brand Bocci. The two studios, who are both also based in Toronto, each have multiple products in the collection. Work by younger brands and designers includes a pale white table lamp by MSDS and a shelving unit with a tapered wooden frame based on snooker cues by Jamie Wolfond, founder of homeware brand Good Thing. During the project, Charbonneau aimed to uncover work by emerging designers in the country. Her favourites include Vancouver artist and designer Ben Barber and Quebec-based Simon Johns, whose designs were posted on both days 323 and 351 respectively. In the exhibition, all the pieces are accompanied by their official name, the designer or maker's social media handle, and hashtags that pick out materials and style. Rather than the square image format often associated with Instagram, the photographs are presented in a range of proportions more suited to the design they capture. Charbonneau said that over the year, the account's following grew from her intimate circle friends in her local design circle to reach a wider audience. The account currently has 883 followers and the most popular posts, including the last image posted on day 365, gain an average of 100 likes. The 365 Days of Canadian Design exhibition will remain on show at Artscape Yongeplace, 180 Shaw Street, until 27 January 2018. It is among a number of exhibitions taking place across the city as part of this year's Toronto Offsite Design Festival. Others include an all-women show, and homeware designed for merging home and work lifestyles. The event also coincides with the Interior Design Show Toronto, taking place at the Metro Toronto Convention Centre, where New York design brand Pelle is launching a set of small pendants and sconces.